Concordia University Irvine sent fifteen missionaries to El Progreso, Guatemala, to start a five-year mission partnership with the village. Almost 200 books from CGO went with them on the November 2015 trip. Concordia University Irvine had received a request from the Central American Lutheran Mission Society (CALMS) to take on El Progreso as a long-term mission partner. CUI answered the call and assembled a short-term mission group comprising Jonathan (associate campus pastor), eight students, a CUI English professor and his family, and a local Lutheran school principal. The team had ambitious plans for their short stay. While many mission teams plan to complete one big project per trip, the CUI team planned to complete four! Goal #1: Introduce a basic water filtration system to the village’s leadership to help solve the village’s water issues. Goal #2: Record villagers’ stories and take family photos in order to start a database of the residents’ information. Goal #3: Provide catechesis to two local college-age CALMS leaders. Goal #4 was where Concordia Gospel Outreach came in the most: Vacation Bible School, an all-hands-on-deck endeavor for the small team of missionaries. Most Guatemalan schools are closed during November and December because of the harvesting of the local coffee crop, so the missionaries were told that up to 350 kids could show up. To minister to such a big group of kids, the missionaries would need a big amount of books! So before the trip, Jonathan connected with Concordia Gospel Outreach to see if we could help. Thrilled to support the mission, CGO sent Arch Books, teaching resources, catechism books, teen devotionals, and books about Christian doctrine—392 books in total, and all of them in Spanish! Of those books, 350 were copies of the Arch Book Lazaro, ¡levántate! (Get Up, Lazarus! ), which teaches about Jesus’ miracle of raising Lazarus from the dead. 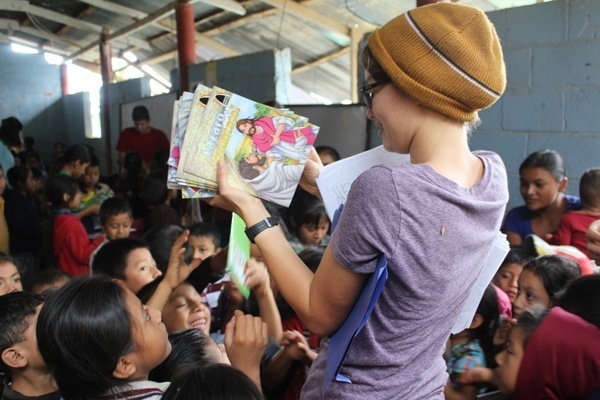 The missionaries brought about 200 of the books to Guatemala and used them during the VBS, which focused on the three big sections of Jesus’ life: His birth, ministry, and death and resurrection. And on the last day of the VBS, each child got a special treat—his or her very own Arch Book to take home! CUI’s plans for the mission trip included a four-day VBS, at the end of which each child got to take home his or her very own Arch Book. 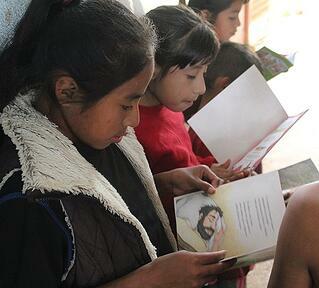 Over the next five years, CUI plans to deepen its relationship with the people of El Progreso. The 2015 Thanksgiving trip was “the first trip in a five-year partnership with CALMS working specifically in the village of El Progreso. The goal is for CUI to send three different short-term missionary teams each year to work in that village,” Jonathan said. And with countless more lives to touch with the Gospel, Concordia University Irvine has a lot of work ahead. 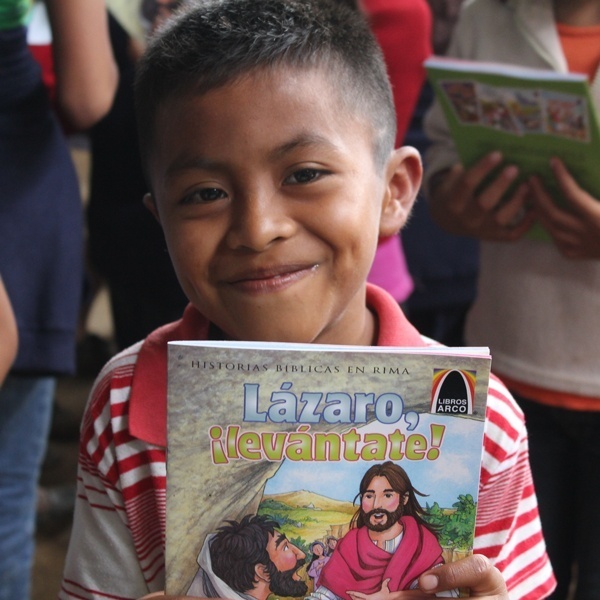 The books that were given to villagers in El Progreso, and the extra books that were distributed to local long-term missionaries, set the stage for a fruitful partnership between CUI and El Progreso! Because of your generous support, CGO was able to help this incredible mission team start to grow roots in Guatemala! But we need your help to continue the mission. Consider giving a gift to Concordia Gospel Outreach today!